Thaddeus Joseph Jones (March 28, 1923 ? August 21, 1986) was an American jazz trumpeter, composer, and bandleader. He was born in Pontiac, Michigan to a musical family of ten (an older brother was pianist Hank Jones and a younger brother was drummer Elvin Jones). Thad Jones was a self taught musician, performing professionally by the age of sixteen. He served in U.S. Army bands during World War II (1943-46). He was born in Pontiac, Michigan to a musical family of ten (an older brother was pianist Hank Jones and a younger brother was drummer Elvin Jones). Thad Jones was a self taught musician, performing professionally by the age of sixteen. He served in U.S. Army bands during World War II (1943-46). 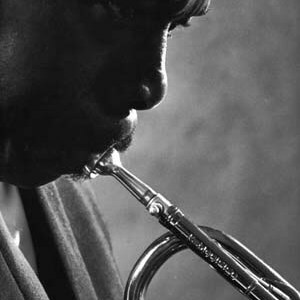 After the war, Thad Jones continued his professional music career, eventually winding up with Count Basie in 1954, for whom he arranged, composed, and performed. He stayed with Basie for nine years. Thad achieved critical acclaim during this time, but not for his work with Basie. Much of Jones' music was stylistically original and didn't always fit in with the Basie group which he left in 1963. In the early sixties he became a free lance arranger and performer in the New York area. In 1965 he and drummer Mel Lewis formed the Thad Jones/Mel Lewis Big Band. The group initially began with informal late night jam sessions amongst New York's top studio musicians. The group eventually began performing at the Village Vanguard, to wide acclaim, and continued with Jones in the lead for twelve years. In 1979 they won a Grammy Award for their album Live in Munich. Jones also taught at William Paterson College in New Jersey. In 1978 Thad suddenly moved to Copenhagen, Denmark, (to the great surprise of his New York band mates), where several other American jazz musicians had gone to live. There, he formed a new band Eclipse, composed for The Danish Radio Big Band and taught jazz at the Royal Danish Conservatory in Copenhagen. A year before his death, Jones came back to the U.S. to lead the Count Basie Orchestra but had to step down due to ill health. He returned to his home in Copenhagen for the last few months of his life. He died on August 21, 1986 after being hospitalized for months but his cause of death was not published. At the time of his death he had a six year old child also named Thad Jones that he had with his wife Lis Jones. He is buried there in the Vestre Kirkegard Cemetery (Western Churchyard Cemetery). Charles Mingus called Jones "...the greatest trumpet player I've heard in this life." In later years his playing ability was overshadowed by his composing and arranging skills. His best known composition is the standard A Child is Born.